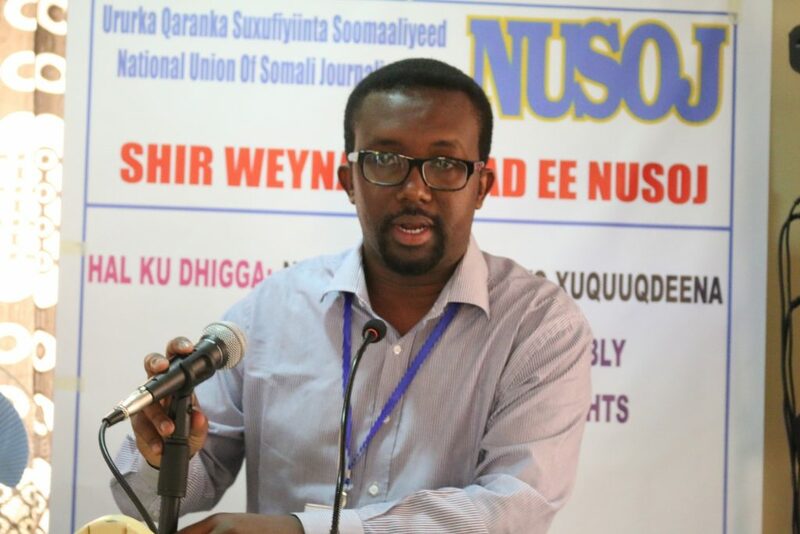 The National Union of Somali Journalists (NUSOJ) strongly condemned callous murder of a broadcast journalist Abdiasis Mohamed Ali, who is widely known Haji, in Mogadishu. Two men armed with pistols murdered the journalist around 18hrs local time at Jiiro-garoob neighborhood of Yaqshid district in northern Mogadishu while on his way from Radio Shabelle where he works as a reporter to visit his uncle. 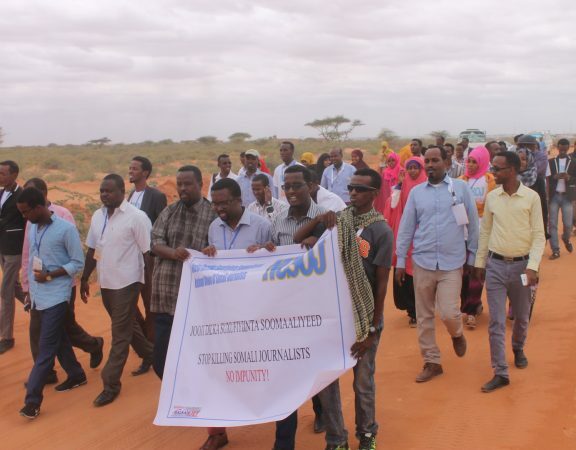 “This cold-blooded murder again shows the precarious security conditions that Somali journalists continue to face. This is another of a colleague, a friend and a union member. 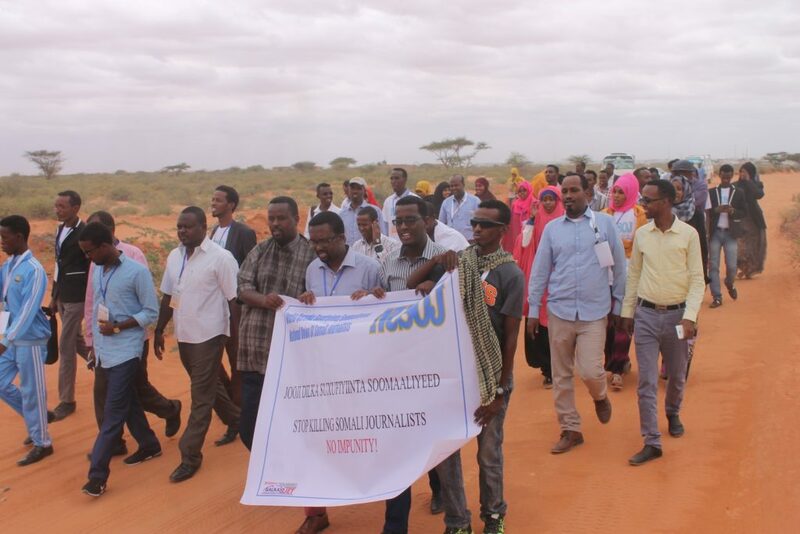 The journalist community in Mogadishu is shocked by this latest attack and there is a widespread concern that many more journalists are at risk due to upcoming indirect national elections for politically motivated assassins to eliminate defenseless journalists to send a political message” said Omar Faruk Osman, NUSOJ Secretary General. 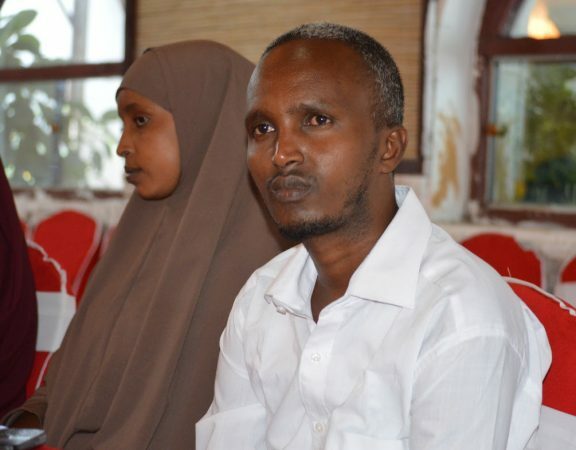 Abdiasis Mohamed Ali, 33, has been working for Radio Shabelle for more than seven years and was even arrested several times by the police and the National Intelligence and Security Agency (NISA) for his media work. 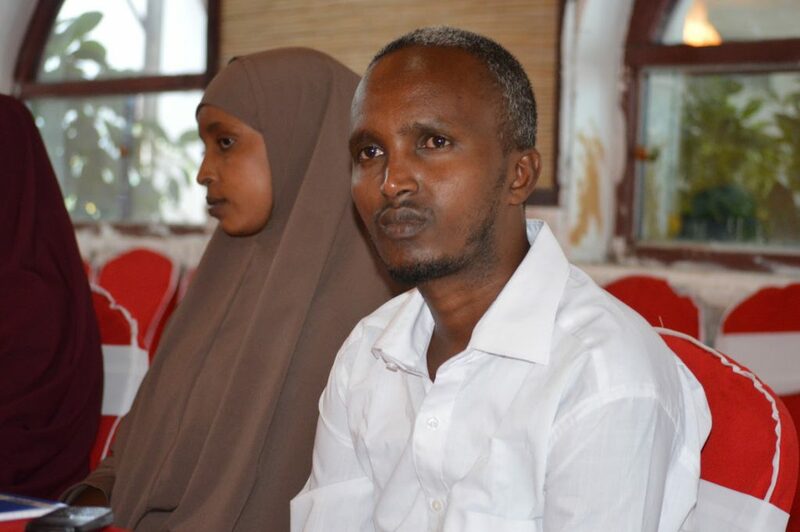 As a union, Ali is a member of NUSOJ’s Gender Committee and took part on 21-23 September 2016 a National Gender Workshop which were jointly supported by the African Regional Organisation of the International Trade Union Confederation (ITUC-Africa), Swedish Trade Union Confederation (LO) and the Federation of Somali Trade Unions (FESTU). 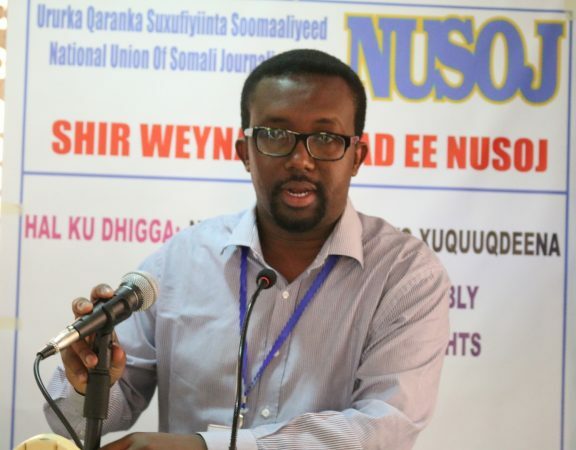 “Our colleagues are being attacked with impunity and the government has abysmally failed to ensure its primary responsibility of protecting working journalists,” added Osman. “We will not stand by as these devastating attacks on journalists and on journalism continue”.